Tell most people in Newmarket that the town has a river and they’ll most probably look at you blankly and quickly change the topic of conversation. But the fact is that it does - or probably more accurately (as defined by its size) a brook or stream. 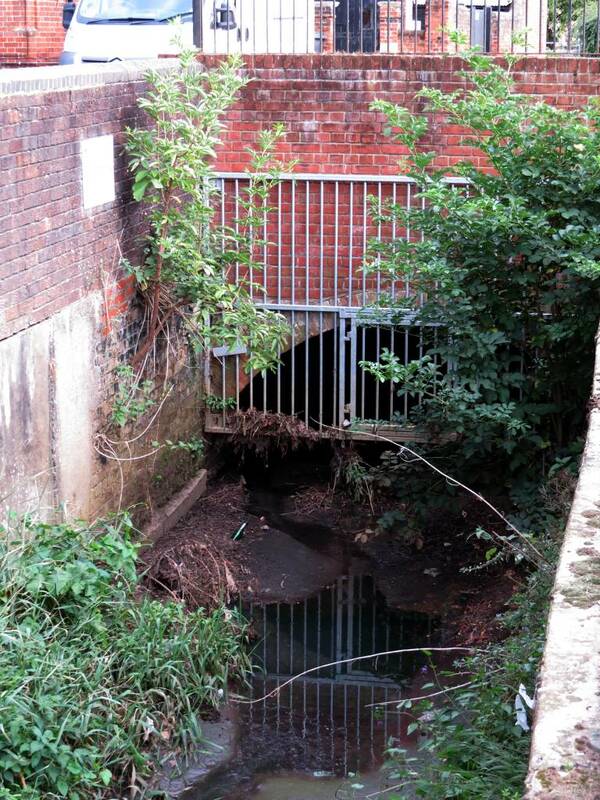 Its common name is the Watercourse, or more officially, but blandly entitled the Newmarket No.1 Drain. Most of the time it’s quite dry and isn’t much more than a ditch, but following heavy rain the river becomes full with fast flowing water. The main reason that nobody knows much about the Watercourse these days is that for most of its journey through the town it’s now been culverted - i.e. it flows in an underground tunnel. 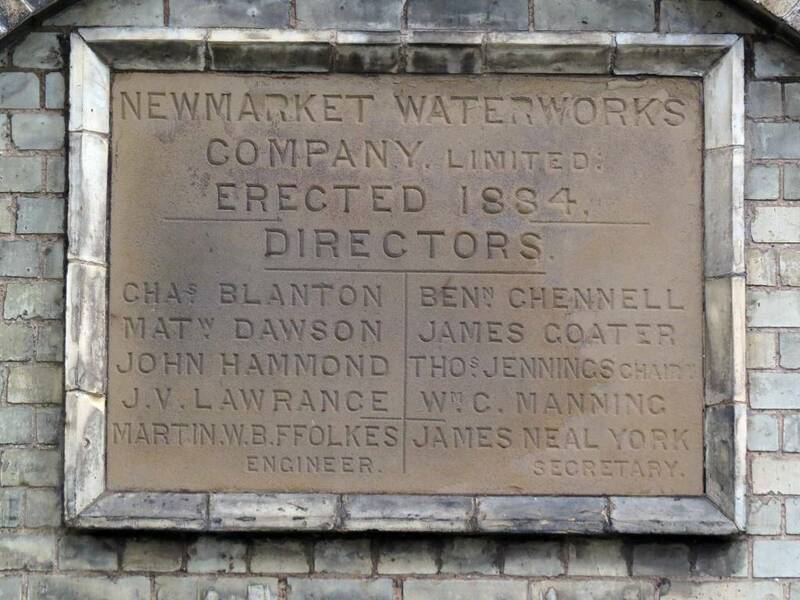 But the river and its associated source wells are most probably one of the most important reasons why Newmarket is where it is. 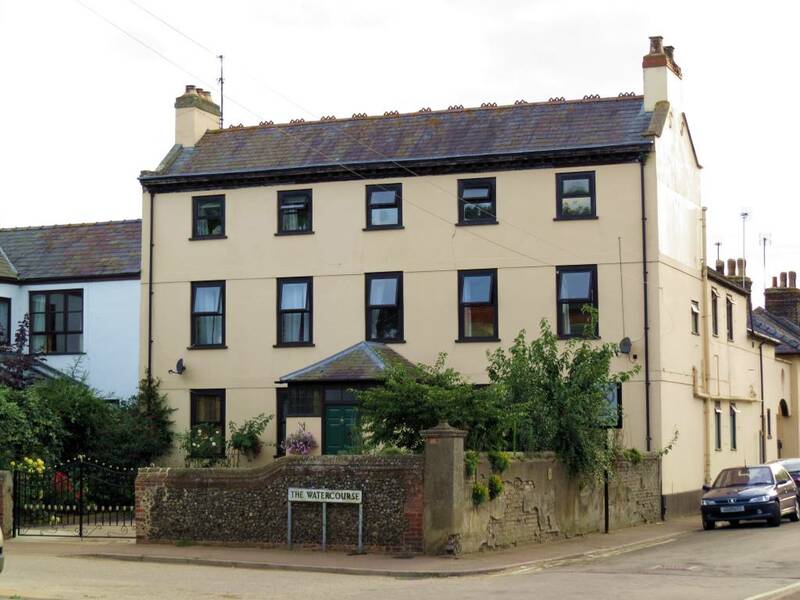 Detailed reasons about the origins of Newmarket can be found on the NLHS website, but essentially in around 1200 AD the town’s market grew up in this area, at the site of one the most important trading routes of the time through the region - the ancient Icknield Way. Coupled with the passing trade that this way brought, another important aspect of any major settlement is a convenient source of clean drinking water. At times when the groundwater levels are high in the Newmarket Ridge chalk aquifer (an area of underground water-bearing permeable rock that stretches eastward from the Great Ouse valley), the water rises to the surface in certain places as springs, which with man-made intervention over the years has created a multitude of wells around the Newmarket area. 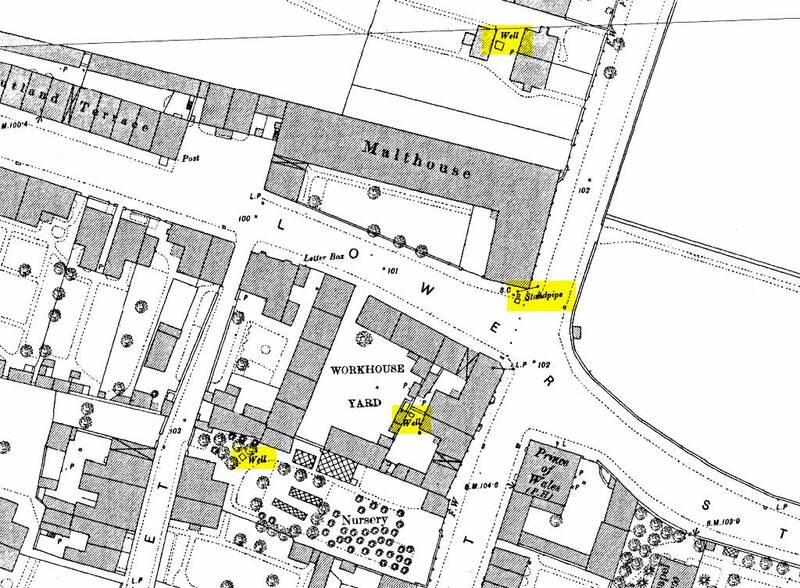 Browsing across the late Victorian Ordnance Survey maps (c.1885), they show that there were still many wells in the town at that time and quite a few of these were coupled to standpipes located in the streets to supply residents with fresh water. The historian Peter May details in his books about Newmarket that the Watercourse did exist in medieval times (c.1472) and was called Dundich. At this time it was probably little more than an open ditch running through the town and would have most likely been quite polluted. 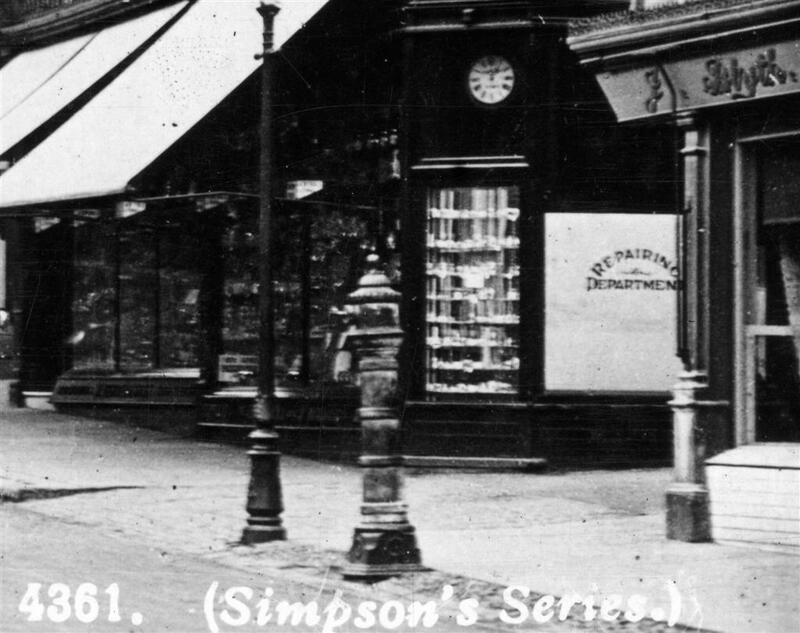 The position of this ditch on the High Street later became the location of William Errat’s Coffee Room, the building that subsequently became the Jockey Club - No.101 High Street. The Coffee Room was most probably located here because quite simply to make coffee you need water. 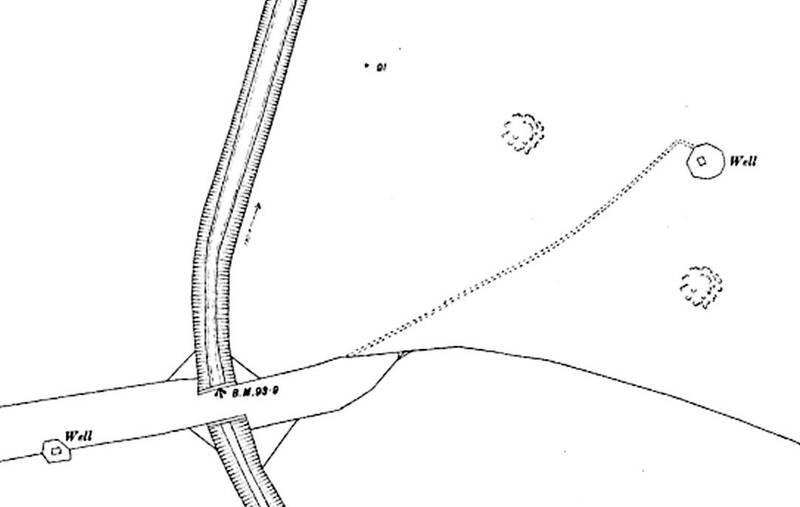 Curiously, referring to both of Chapman’s 1768 and 1787 maps of Newmarket, these do not show any significant stream flowing through the Jockey Club’s land, but by the 1821 Enclosure map and 1884 William Parr Isaacson’s land sale map the winding route of the Watercourse coming into Newmarket from the South West is quite clear. 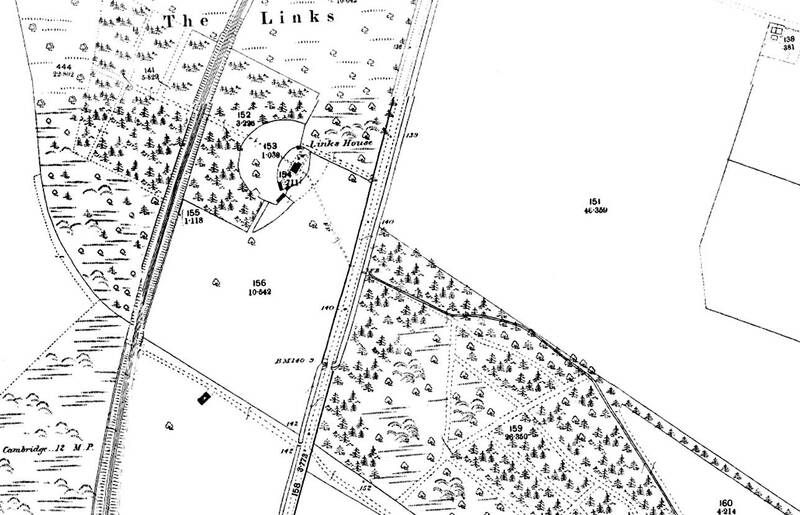 Close inspection of the 1885 town map above shows that located right at the southern part of the Jockey Club’s land, against what is now Cardigan Street, that there were two wells, so it’s most likely that these were the original source of the Watercourse. 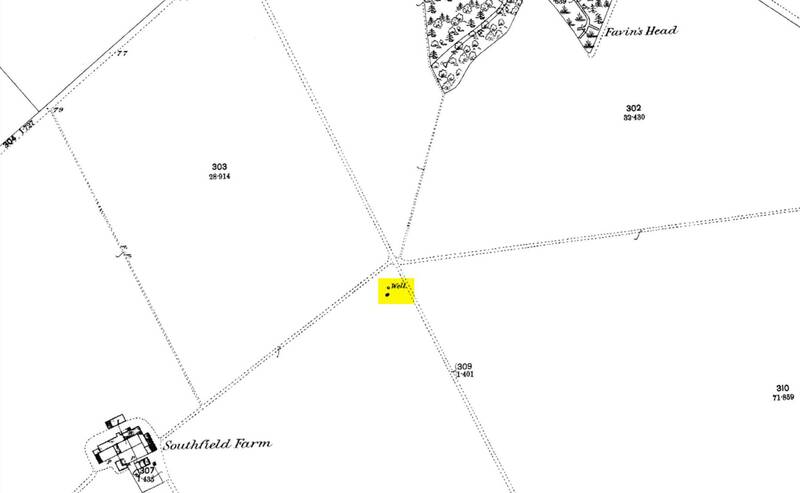 One of these wells can still be seen in the 1884 sales map. 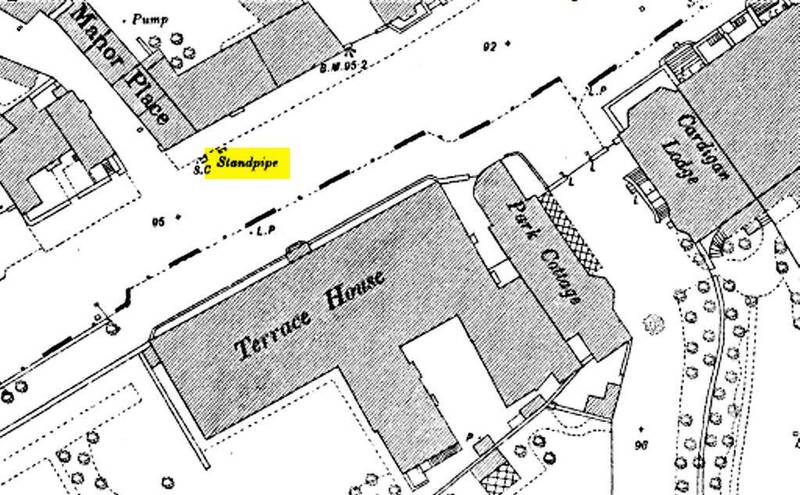 The 1884 sale map shows this part of the Watercourse mostly as it is today - by this time the Jockey Club had covered over most of the river through their land and the route underneath the New-Cut has been culverted, leaving just a short section of the Watercourse still above ground in the rear garden of the Jockey Club grounds. 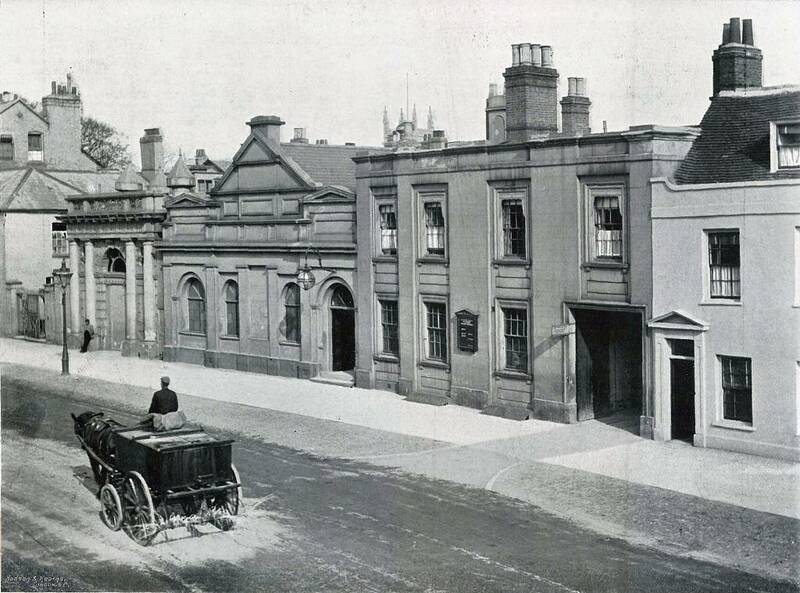 The Jockey Club covered-over the part of the Watercourse at its position onto the High Street and the location of this can be seen as the arched entrance into the livery yard at the rear of the Jockey Club on the right in the photo below. Today this location is right against the side of the western wing of the Jockey Club adjacent to the railings at the front of the Jockey Club’s car park. From the Jockey Club’s grounds the Watercourse passes underneath the High Street and at the time when it was an open ditch there would have been a bridge here. 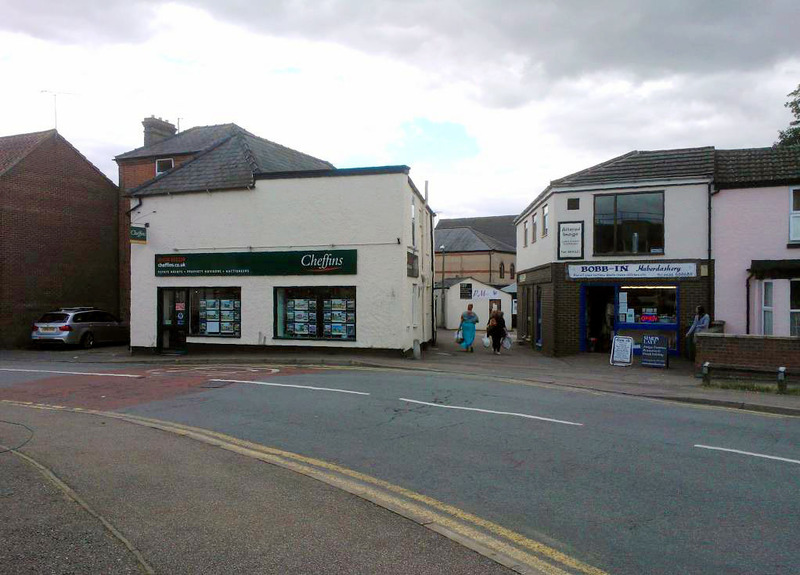 The Watercourse cuts across the High Street at 45° and follows the route of the New-Cut between Thing-Me-Bobs - No.122 High Street (originally the Post Office) and Rothsay House - No.124 High Street. The name of this lane 'New-Cut' does lead to an obvious question - if this is the new cut where was the old one? 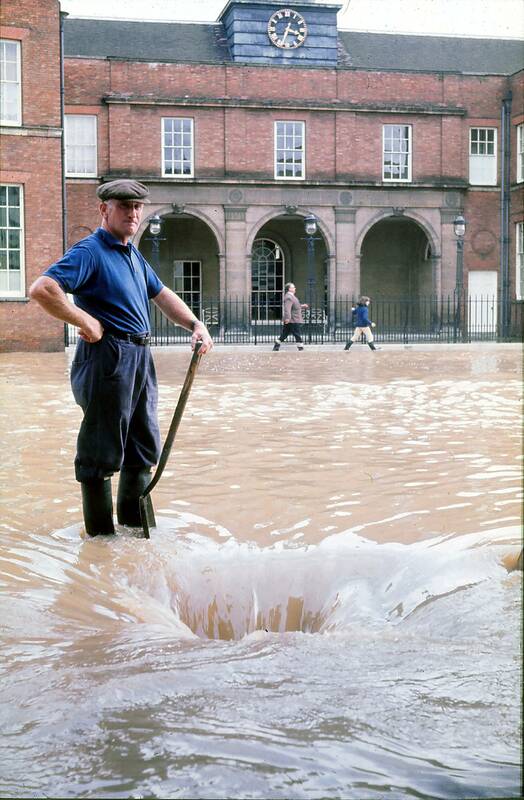 Passing through Newmarket the Watercourse follows the New-Cut and comes out underneath the corner of the present-day Market Place (the location where the infamous faulty Rookery clock stood at one time) and as can be seen in the 1971 photo above the culvert is about 12 foot in diameter and the top of it is not much more than 2 foot underneath the surface of Wellington Street. 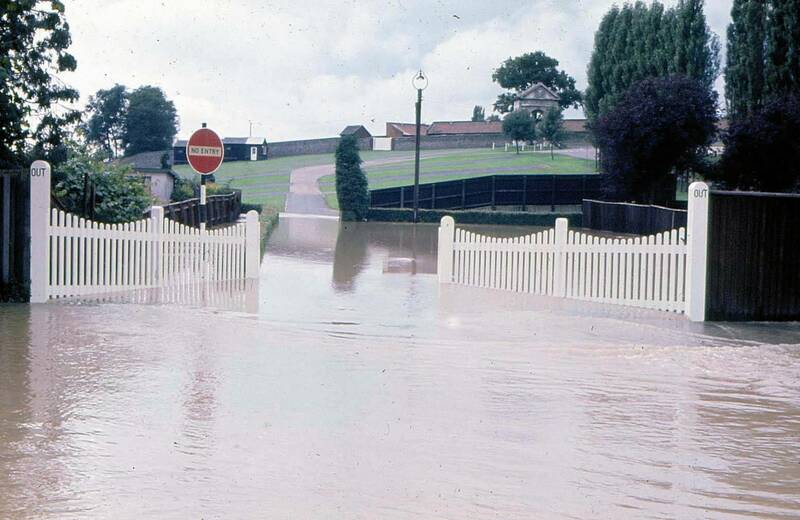 In September 1968 this culvert became blocked and as can be seen in the photos below the Watercourse flooded out into both the High Street in front of the Jockey Club and also significantly into the Avenue, where it passes underneath the road next to the Bowls Club … the Bowls Club green itself was also actually flooded. Subsequent to these flood the culvert was widened between Tattersalls and the Jockey Club and the council have to now periodically clear the debris that collects over the grids at both ends to prevent it blocking. Dr D Owen Mead said he had been Medical Officer of Health for the Newmarket Urban District Council for 12 years, and that during that time the drainage had been faulty. There had been frequent complaints made, and illness had been caused in the town by the defective drainage. 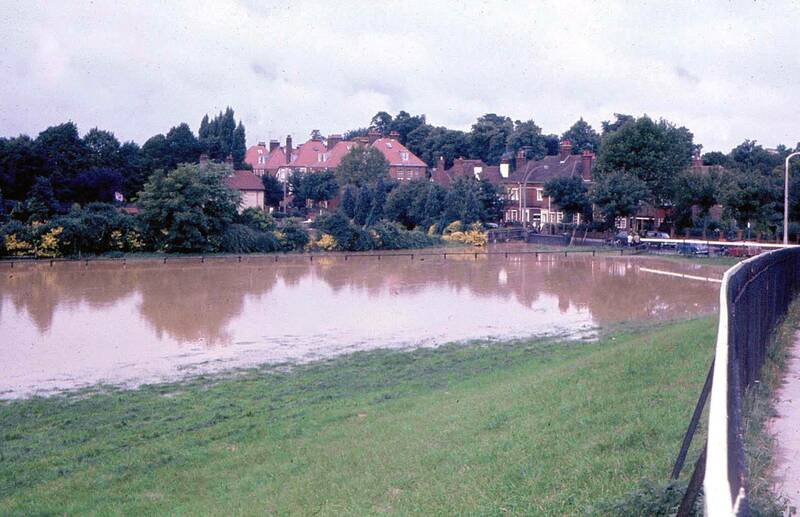 The present main drain from Wellington Street to the sewage farm gave a great deal of trouble and the sewers along Lower Station Road were faulty. The population had increased considerably near the sewage farm, and complaints had been made with regard to the "aroma" arising therefrom. 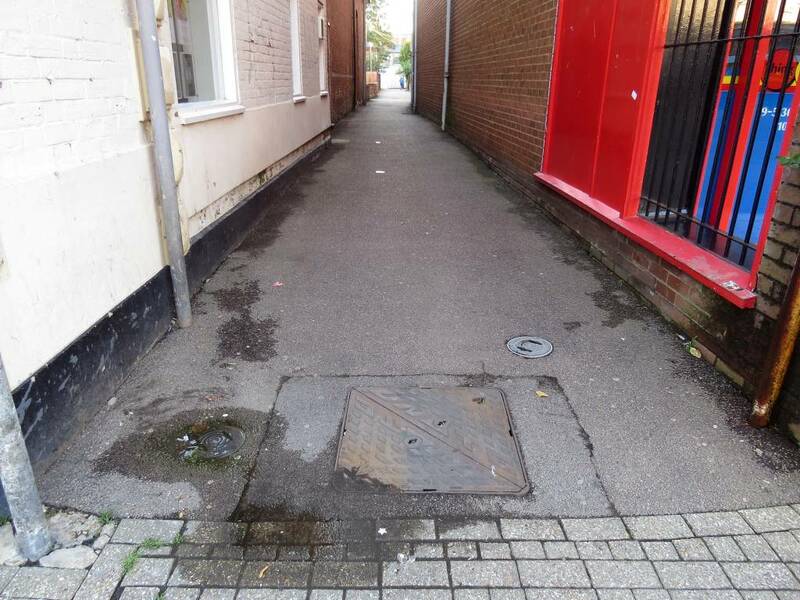 A voice: "Just a little bit sniffy (laughter)"
From the Market Square the Watercourse does actually follow the route of its namesake horse-walk and finally comes out above ground again opposite Exeter House in Exeter Road adjacent to the laundry. 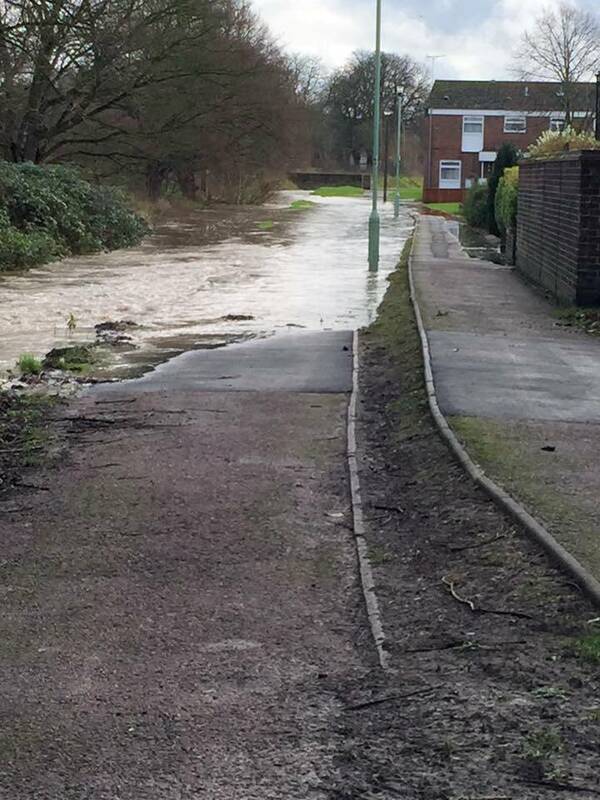 The water continues to flow down alongside the footpath that is colloquially now known as the ‘Yellow Brick Road’ (the area that was previously known as ‘the Willows’), between the Fordham Road Maltings and Howard de Walden Way. It goes underneath Noel Murless Drive and comes up against Willie Snaith Road adjacent to the Fire Station. Not particularly salubrious, but as can be seen in the 1902 map above this part of the brook had also been used for run-off water that came from the Victorian sewage works sited along here. Although smaller than in the 1902 these works are still shown on the 1886 map of this area, but by 1977 they had become disused and had been replaced by the new works along the Fordham Road. Extensive water works were erected in 1883-4, including a covered reservoir on Warren hill, holding a quarter of a million gallons, and filled by pumping engines from a spring near Exning. Co-contributor to this web site, Tony Pringle, recounts how he used to spend much of his school holidays at the works and the associated rubbish depot (apparently this was a prime source for discarded nick-knacks and boys comics, comics which he avidly sold for pocket-money to Ernie Marsh's bookstore in the corner of the Rookery). Tony used to help take the official rainfall readings for Newmarket when the works manager Mr. Chambers was busy. Mr. Chambers lived in a red house down the far end of the site, close to where Willie Snaith Road is now. Tony recalls that the sewage was pumped by one of two wonderful steam powered beam engines, the heat for the steam being produced by incinerating the rubbish from the council dust carts. Lorries drove up a ramp, dropping off sacks of paper and cloth which were bailed for re-cycling. All tins that were raked out were also bailed up. The rubbish was thrown at sieves over the top access to the fires, the dirt going through went down a chute to be used in road making and the rest went into the incinerator. Apparently a rather ill-planned decision meant that when the dust carts were later replaced with newer models they were too big to fit through the doors at top of the ramp, so without their source of fuel the beam engines had to be replaced with either electric or diesel pumps (he can't remember which). 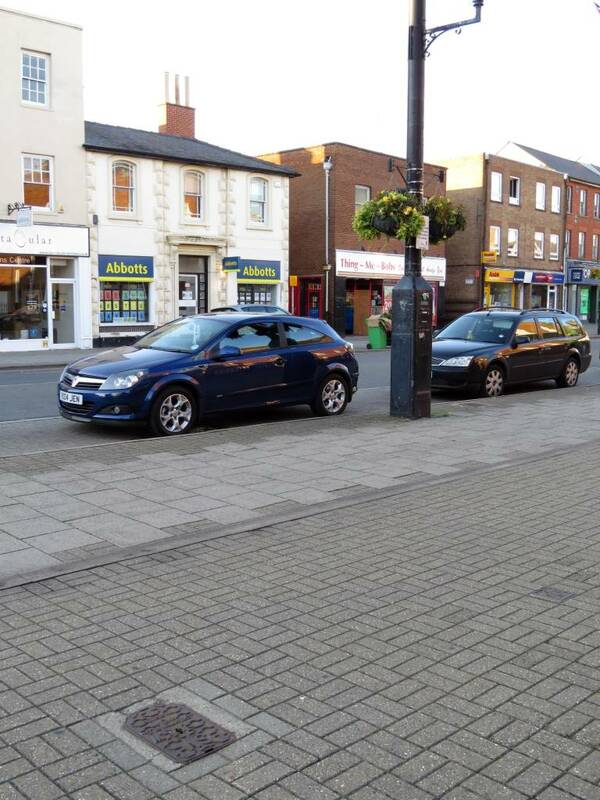 So clearly originally Newmarket was right at the forefront of re-cycling, only to later take a major step backwards when the previously free energy for the pumps had to now be paid-for and the rubbish was relegated to being used for landfill. A slight diversion from the Watercourse, situated a short distance away from the sewage works, Newmarket's freshwater pumping station is located between Southfield Farm on the Cambridge Heath and Favin's Head, one of the Seven Springs at Exning and the source of the New River that flows through the village. The two maps below show how the well that was located here in 1886 had become the Newmarket Waterworks Co. Pumping Station in 1902. Referring to the name plaques on the walls of the pumping station, shown further below, these indicate that actually the survey for the 1886 map must have been done a few years earlier than this; as the elegant Victorian pumping station that still stands here had been erected two years before in 1884 - interestingly the wall plaques also list all the directors of the Newmarket Water Works Company Limited at that time. The pumping station was later fitted with a 1910 Leeds-built Hathorn Davey & Co. Triple Expansion Engine, which was more modern than the beam engines at the sewage works. 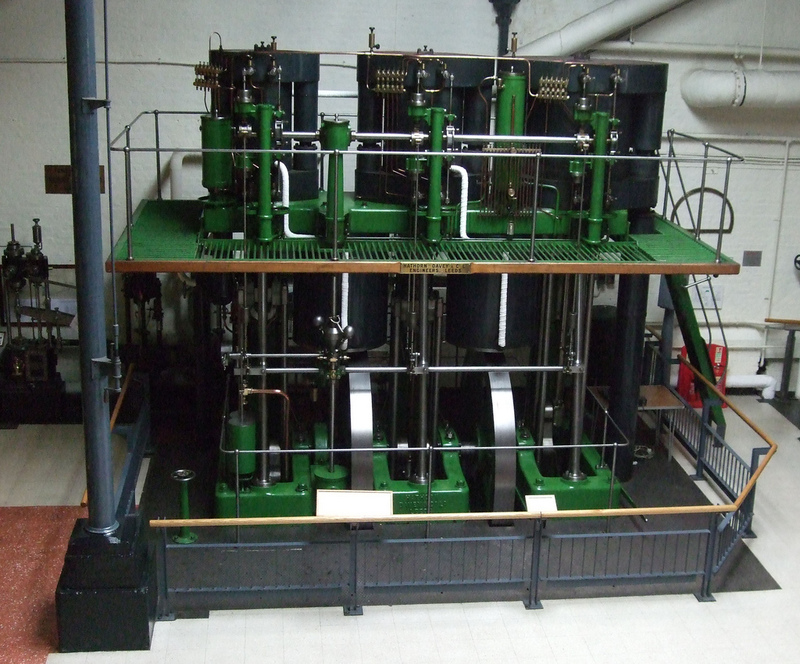 Following decommissioning in 1964 the Anglian Water Authority donated the engine to the London Museum of Water & Steam at Kew Bridge, where it can still be seen today. At one time there was also a second engine house with an electric pump and diesel standby. 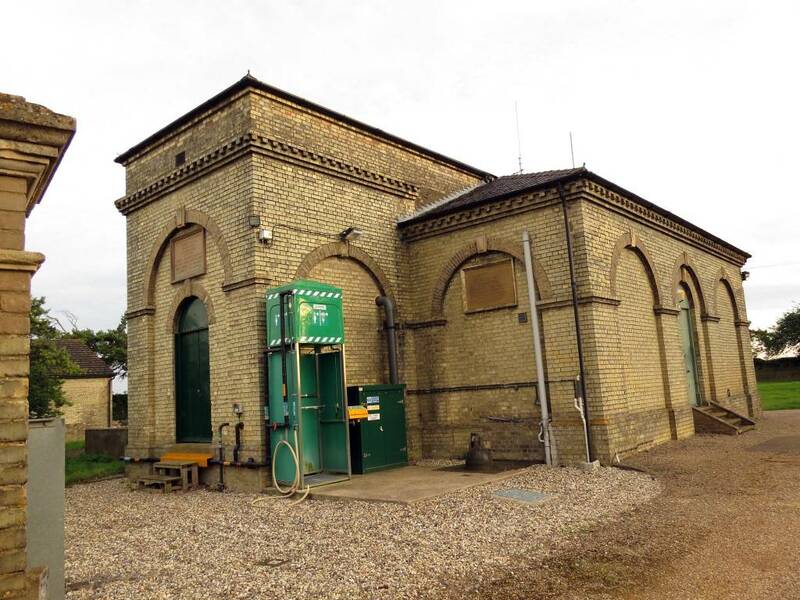 Still in use today, in November 2013 a new bore hole was sunk and the pumping station now extracts water direct from the Newmarket Ridge chalk aquifer under the Cambridge Heath to continue to fill the now much extended covered reservoir on Warren Hill. 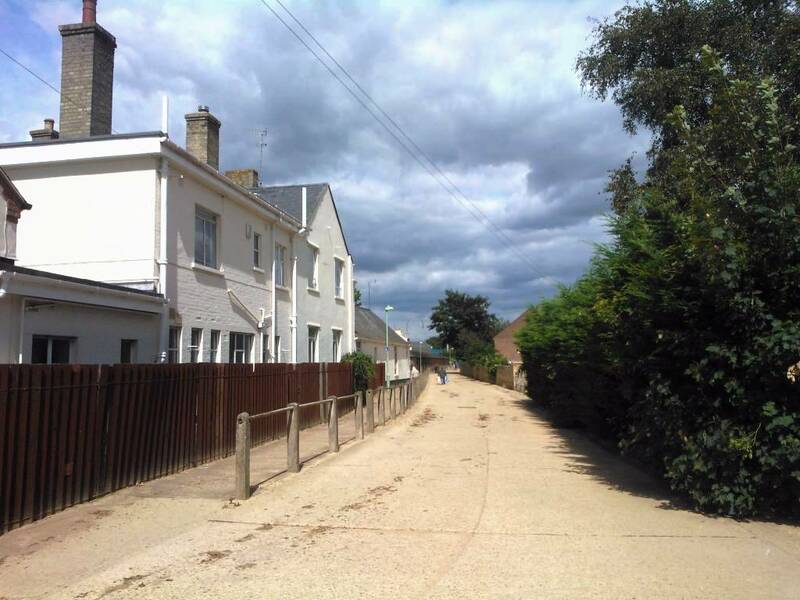 Despite the previous work that had been done to widen and clear the culvert under the town the flooding in Newmarket hadn’t been totally solved, as in May 2012 this stretch of the Watercourse overflowed and homes in Sassoon Close were flooded. 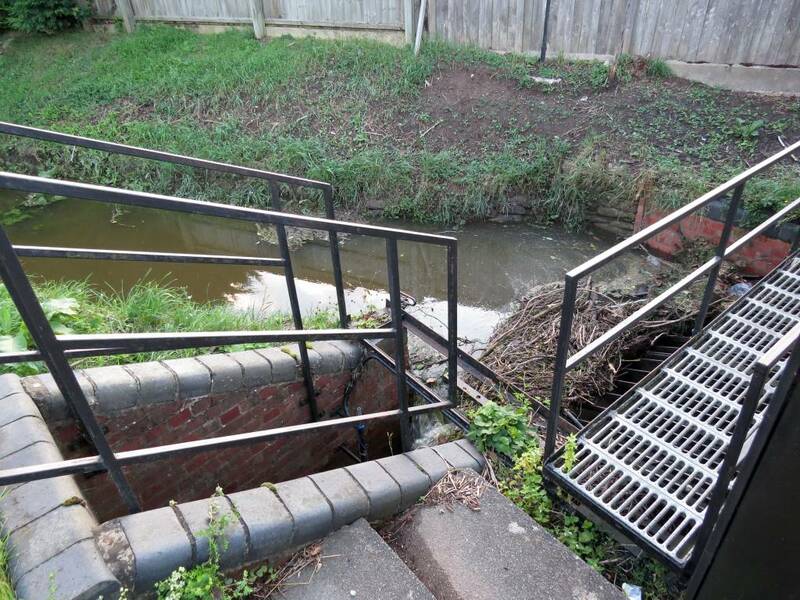 The brook continues under Willie Snaith Road, under Studlands Park Avenue, past the Studlands Park Community Centre, under Brickfields Avenue, past the Studlands Park Social Club, before it finally leaves Newmarket underneath the A14. From here it goes underneath the A142, passing between Beach House Hospital on the Fordham Road and Plantation Stud. It then joins up with the Four Ponds springs at Snailwell and flows into the River Snail. 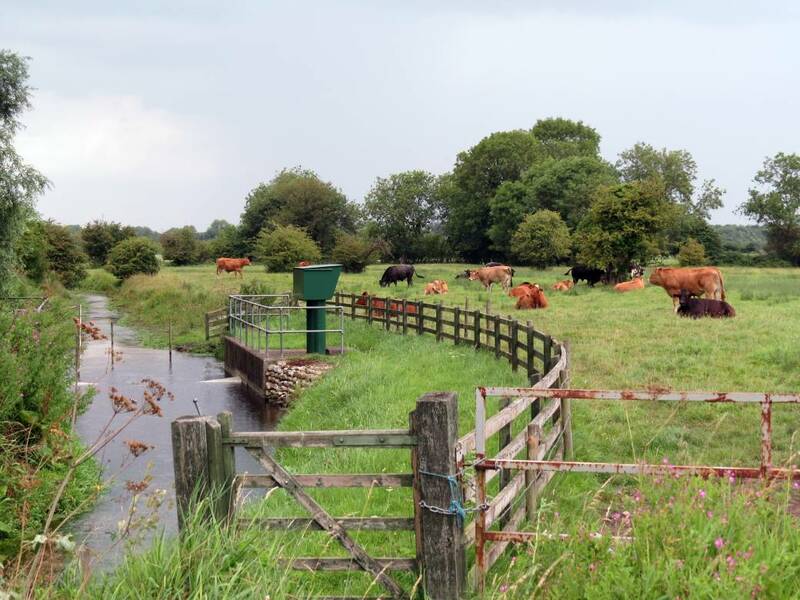 Eventually, as it is joined by other fen drains, the River Snail becomes the Soham Lode before finally flowing into the Great Ouse at Lode End Bridge near Barway. 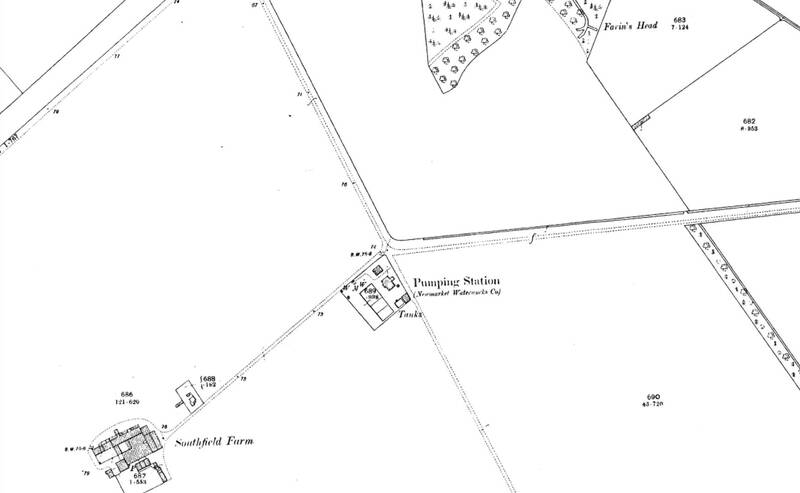 As detailed above, although the original source for the Watercourse had most probably been from the wells in the Jockey Club grounds, as can be seen in the above maps, sometime before 1821 work had been done to create the stream coming into Newmarket from the south west. Tracing this stream back and up the hills the water comes into Newmarket through Tattersalls Park Paddocks. It goes underneath the Woodditton Road and through Crockfords Stud. Passing through the next meadow it comes up alongside the Dullingham Road opposite Wyck Hall Stud. Just over the Dullingham Road railway crossing you can see the ditch down a bank at the side of the road. It follows the course of this straight stretch of road towards Dullingham until just before the pumping station on the left at the wood called Lower Links Covert, where it goes through a culvert to appear on the other side of the road. Continuing on from here it cuts through the Devil's Dyke until it gets to the road between the July racecourse and the Dullingham Road where it veers uphill across the field to pass alongside the railway track. When it gets near Dullingham railway station it turns through 90° and becomes the stream that wends its way all along the side of Dullingham High Street, eventually passing Cross Green on the road to Stetchworth, at which point it splits and takes in water from a multitude of directions, from ponds, a reservoir and ditches in the fields around Dullingham Ley. Coming back down the hill to the Links Coverts there’s another side stream that feeds water into the Watercourse. This comes down across the fields from Court Barns Road, where there’s a well at the former Court Barns Farm. Originally there was also a stream coming down to Court Barns from a well further up the valley, called 'Danes Bottom', at Camois Hall, but like many of the minor streams around here that's now dry. The stream itself continues, following Court Barns Road until it goes through a culvert underneath the Woodditton Road. 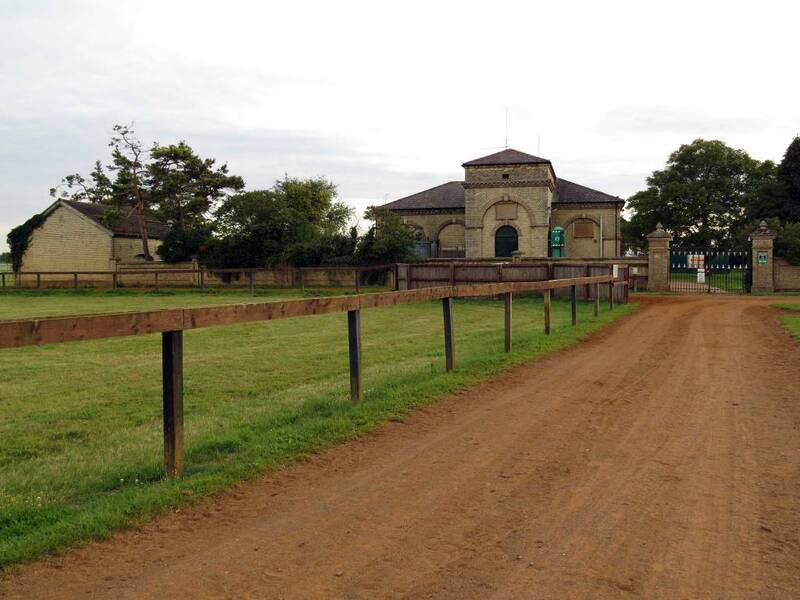 It goes through the Dalham Hall Stud and joins the road going towards Cheveley. A bit further along it cuts across the field to come up alongside Duchess Drive, from where it skirts ‘round to the west of Saxon Street, taking in water from the spring called 'Trunks Well', to eventually come up to the Woodditton School Road at Litton Ditton. The source for this water is from the ponds in the paddock called 'Damp Pond Green' near Parsonage Farm. So there you have it - the many sources, route and eventual drain of Newmarket’s hidden river. Throughout these details this river has always been referred to as just ‘the Watercourse’ - wouldn’t it be nicer if it had a proper name? - here are a selection of possibilities …. As its original source had been in the lands purchased by the progenitor of the Jockey Club it might be appropriate to call it Errat’s Brook. or maybe 'Wickhall Brook' after the Wickhall Manor that it passes through (Wickhall is the original name of Wyck Hall, as in Wyck Hall Stud). 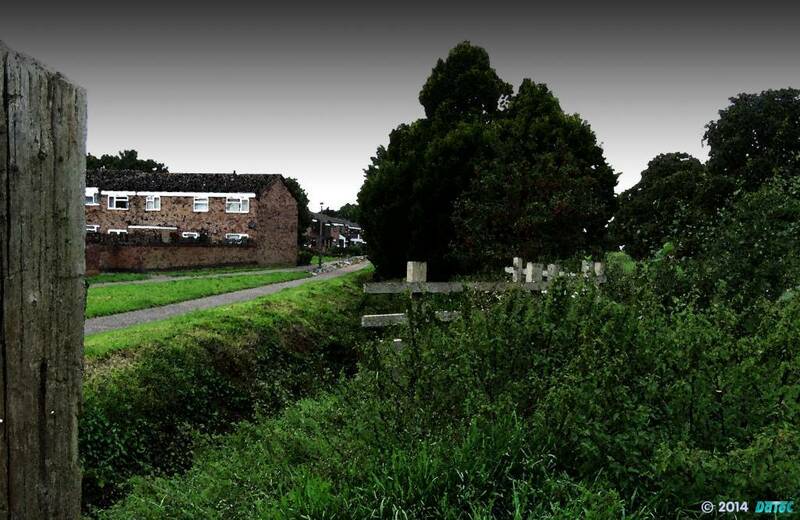 or 'Suffolk Brook' after the Earl of Suffolk, who famously sheltered King Charles II at his home in Park Paddocks during the great fire of Newmarket in 1683.
or 'Panton's Brook' after Thomas Panton who owned Park Paddocks and most probably William Errat's land before he purchased in 1750. The final suggestion is 'Links Brook', as it is by the Links Coverts and House that the various streams converge on their way towards Newmarket ... any other name such as Dullingham Brook, Camois Brook or Ditton Brook don't seem quite appropriate as if you call it one it does a disservice to the other sources of this river. ...…. suggestions on a postcard. 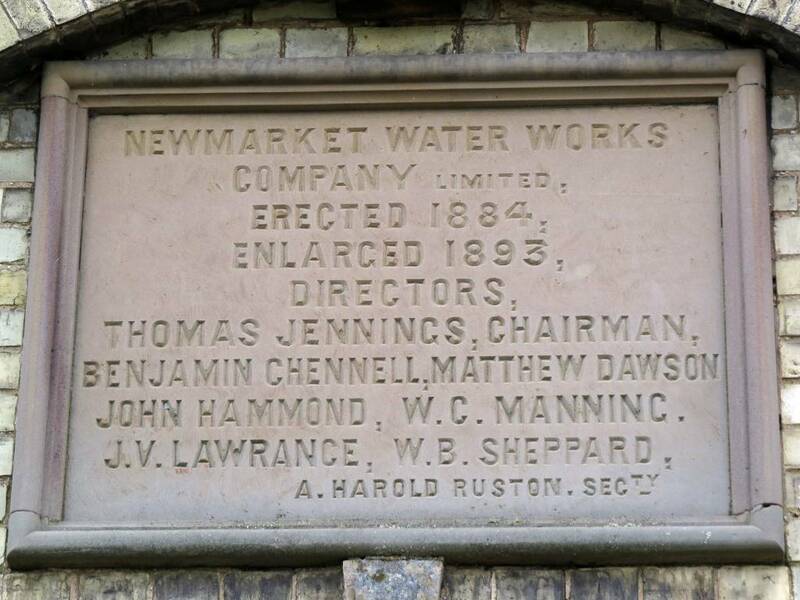 There is one other lesser known watercourse in Newmarket, known formally as the Newmarket No.2 Drain. 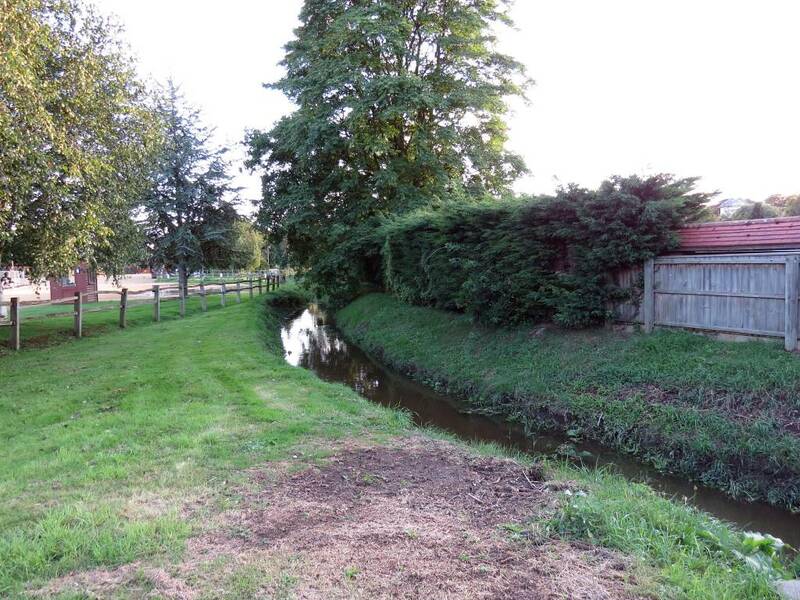 This brook starts its life at Warren Stud in Cheveley and flows down the hill past Brook Stud across to the Ashley Road, which it then follows all the way down to Newmarket to near the New Wellington pub. It goes underground and crosses the Cheveley Road to come out at the side of the allotments along the bottom of Heath Bell Road. 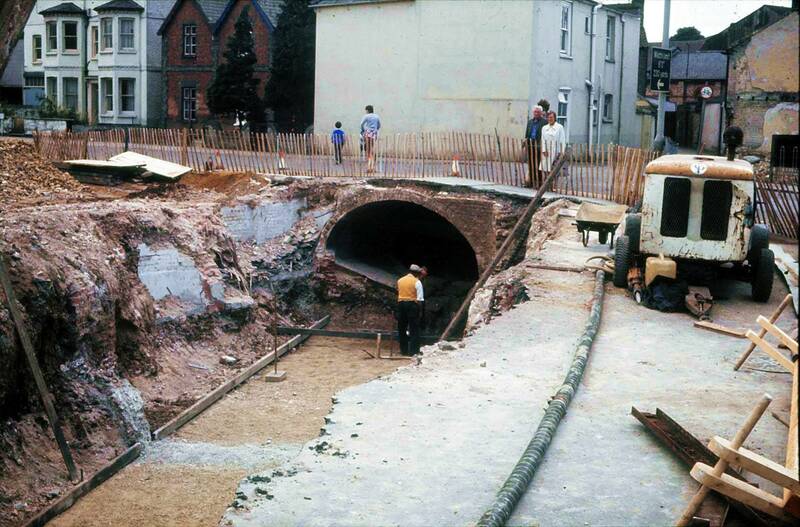 The remainder of its downhill journey is underground, as it goes underneath the railway line to come under All Saints Road at the corner where the old courts used to be. It continues underground all the way down All Saints Road, down Sun Lane, under the High Street (where presumably originally there would have been another bridge), under Wellington Street, to then join up with the Watercourse at the corner of Market Place and the New-Cut. 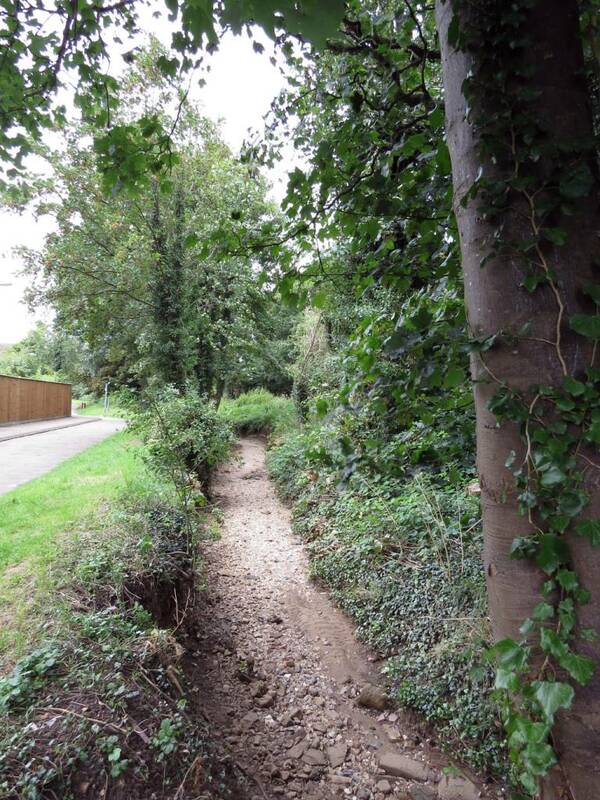 And finally there is one other stream that has now mostly vanished coming into Newmarket - it started from a well in Derisley Wood (now Dalham Hall Stud), came down the Derisley Valley parallel to Duchess Drive. 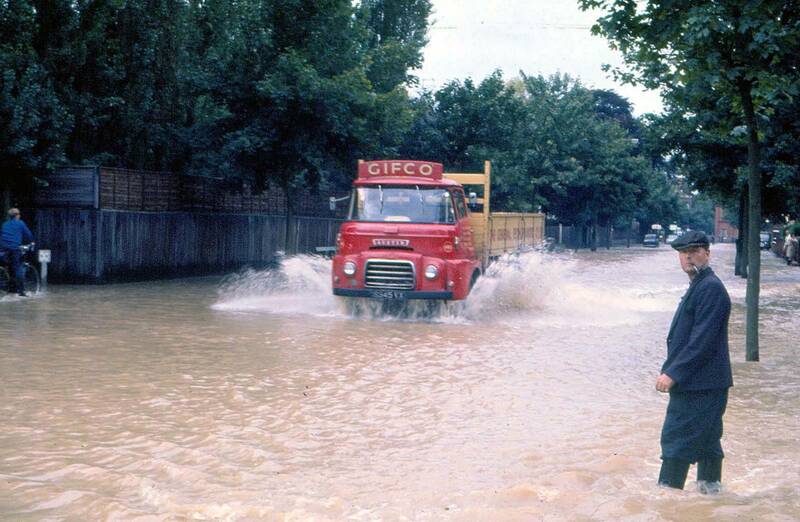 It passed by Someries Stud, along what is now New Cheveley Road, to join up with the Watercourse at the Bowls Club in the Avenue. The lower section from the junction between Crockfords Road and New Cheveley Road is still a managed underground drain, but the upper reaches of it are now completely dry.